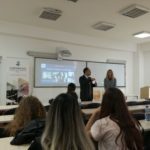 This course was organised over two months by the University of Applied Sciences in Ferizaj (UASF). 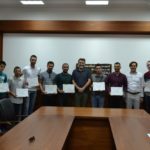 It was presented to a group of local companies in the Ferizaj area to familiarise them with new developments in design technology, including computer aided design, computer numerical control systems, reverse engineering and 3D printing. 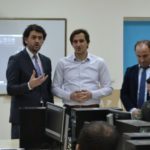 Prof Mohamad El-Mehtedi and Dr Tomasso Mancia (University of Ancona) and Prof Bujar Pira, Dr Rrahim Sejdiu and Mr Flamur Salihu (UASF) conducted this training.